After a week of being sick I'm finally on the mend!!! This cold has been the death of me but I think its almost out of my system. So to celebrate we got out of the house. The day was warm but still had a chill in the air so layers were a must. I found this basic tank while out thrifting a few weeks ago and I've been working it into my wardrobe as much as possible. 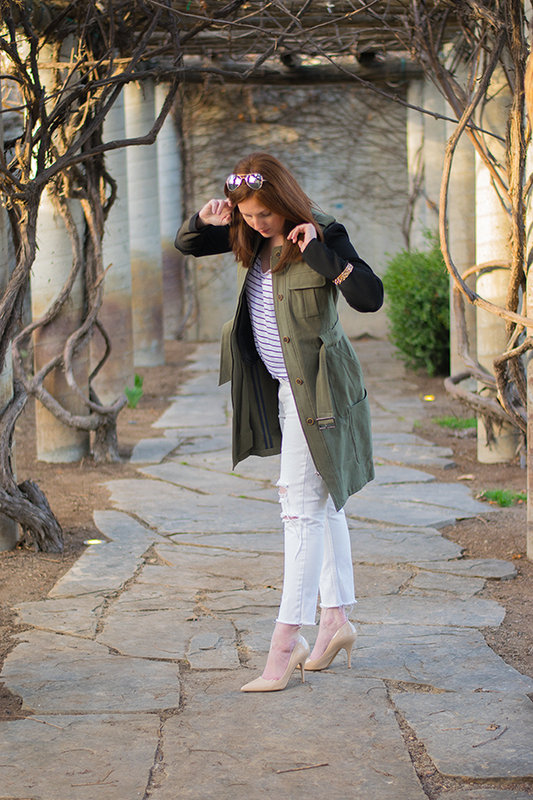 It was perfect for our venture out of the house but since it was still cold I throw on a jacket, also found at the thrift store but I did find one on Ebay, and a new favorite wardrobe staple piece this Chelsea 28 + Olivia Palermo long military vest. 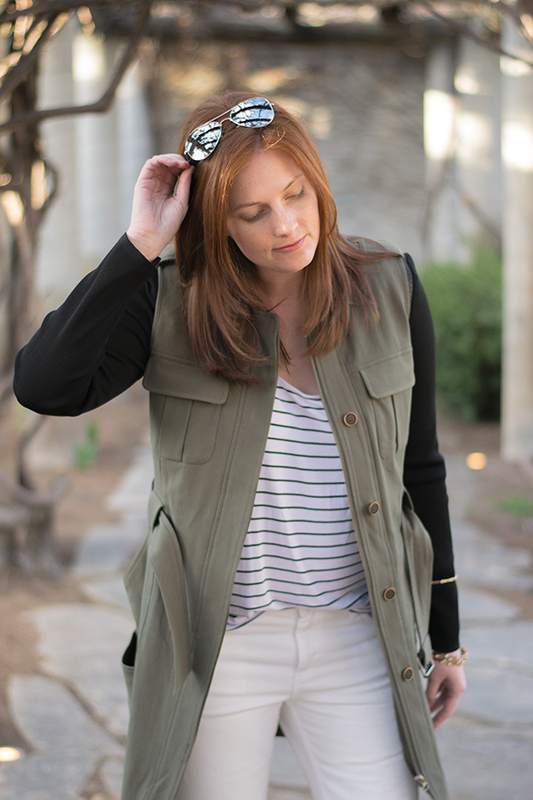 I love this long vest and its purchase was justified just based on the outfit possibilities and year round wear. The color is very versatile and the piece has enough great classic trench details that I know it will be in closet season after season. If you're a fan of Olivia Palermo like I am I suggest taking a look at her Chelsea 28 Nordstrom collaboration. The pieces are extremely good and are selling out fast. Classic pieces with a modern twist. 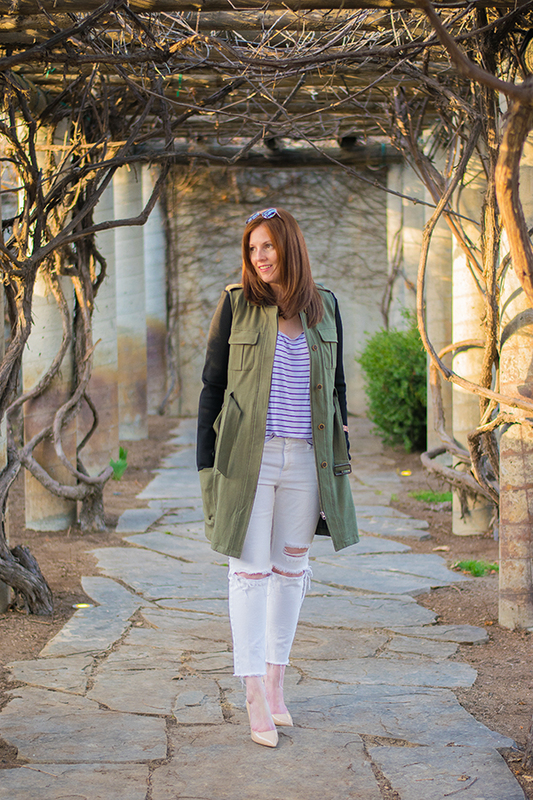 I need to add a long vest to my wardrobe, great for Spring! What a gorgeous gorgeous shoot! I love that green jacket so much! love your coat! 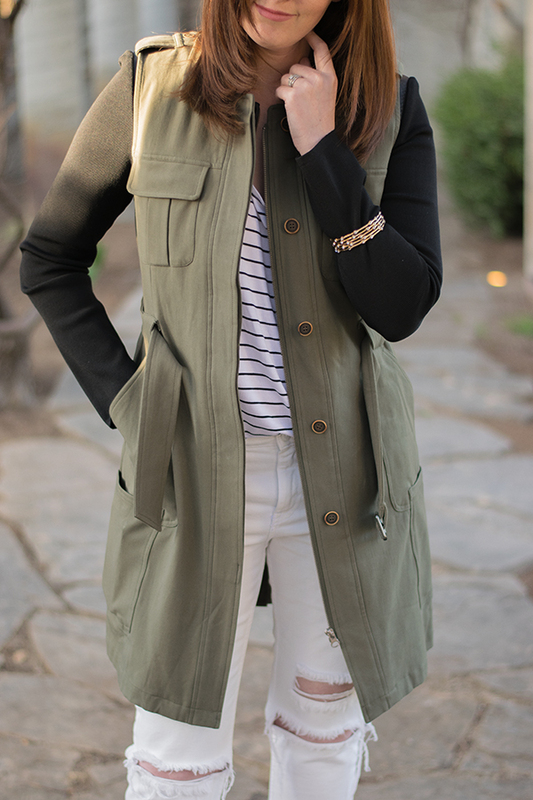 what a cozy outfit that still looks perfect for spring! Gorgeous outfit!! I love those distressed white jeans..so perfect with that vest, and the shoes...YUMMY! Beautiful pictures!! Valerie, thank you! I'm falling back in love with pointed toe heels. So chic. Sayantini, layering is the only way to go. So many more options. Good luck with the heat wave.